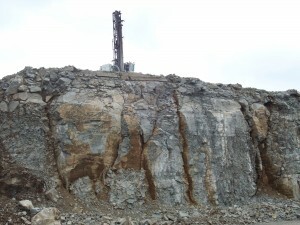 Long before a blast is heard or felt, extensive planning and preparation by one or more blasting professionals occur. Most importantly, for every step of the blasting process, safety is the first priority. A site map with nearby buildings and utilities. The maximum amount of explosives in a blast. The maximum levels of ground vibration and air overpressure allowed. How nearby residents should be informed. Geologic conditions including rock type and irregularities such as faults, cracks and voids. Existence of surface and ground water. Proximity to structures like homes, businesses and underground utilities. These are just a few of the items the blasting professional must evaluate during the preparation phase to plan a blast that will perform well.